I started sewing the Sureau dress last night and finished it this afternoon. I love how it turned out! 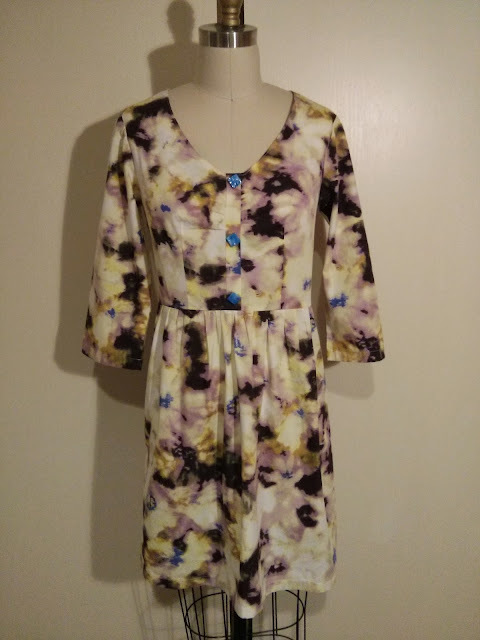 This is a fitted dress with three-quarter length sleeves and I used this lovely abstract floral cotton fabric from J. Crew. 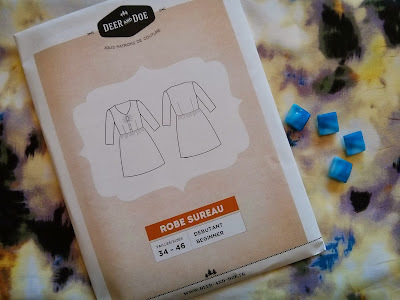 The pattern is from Deer and Doe, a French company that offers a nice selection of different patterns. 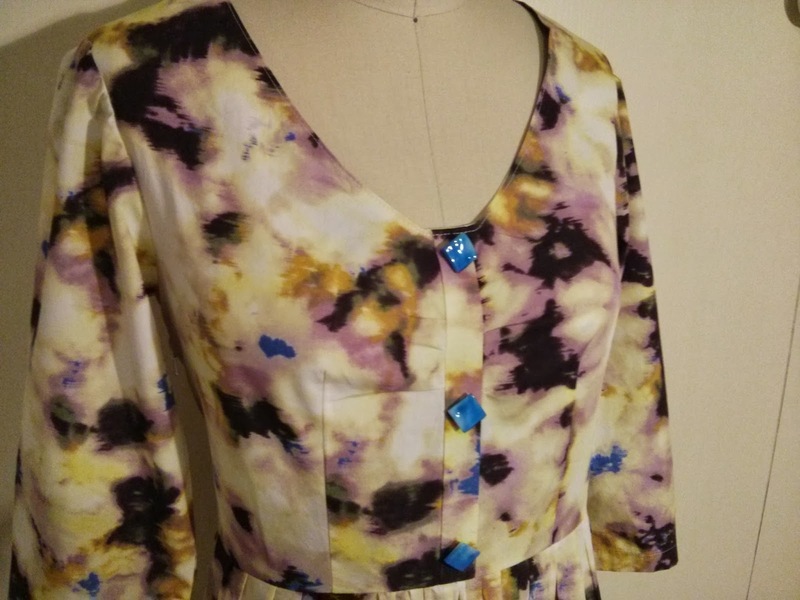 I made a few modifications that included a small bust adjustment and adding an inch to the side seams so the dress was more relaxed and less fitted. 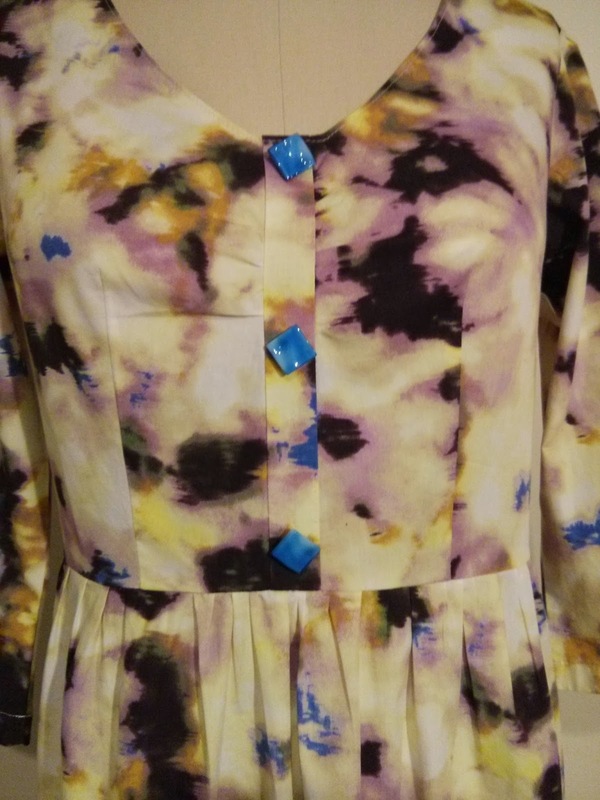 One of my glass buttons also broke, so I only sewed on three instead of four. The pattern itself was well written and very easy to follow. I'd recommend it! I'm adding the Datura blouse pattern to my sewing to do list.